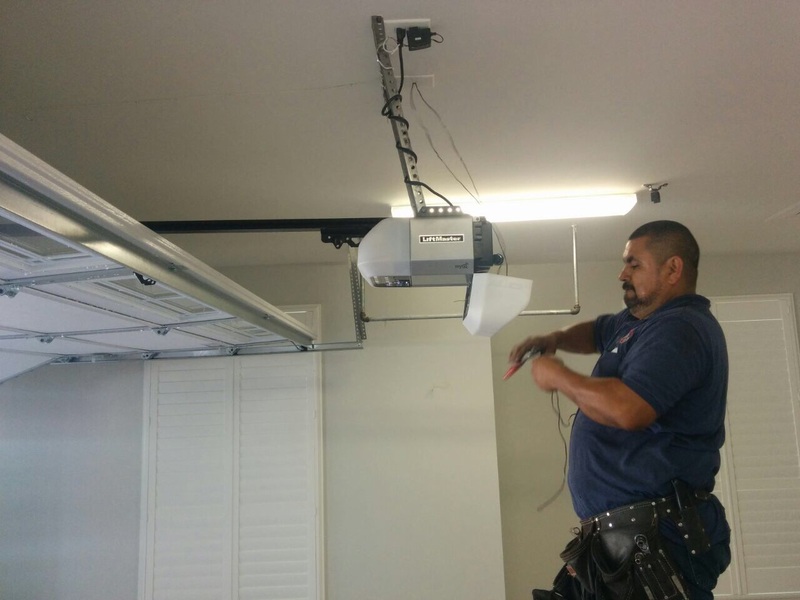 Most garage door openers are installed on the ceiling and fastened on angle irons. Their main characteristic is that they enable automatic operation thanks to the electric powered motor. 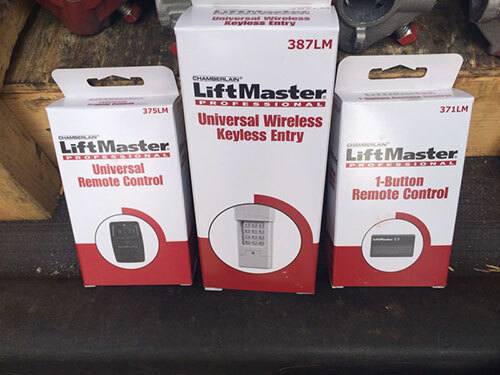 The greater advantage of modern openers is that they integrate or can be connected with backup batteries so that the door will still move automatically during power failure. The choice of new openers is determined by the weight of the door. 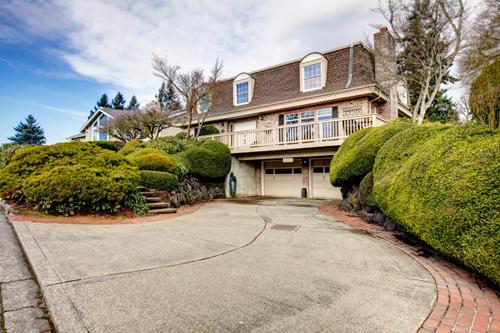 Average size residential doors require ½ hp motors. If they are heavier, the motor must be more powerful. Manufacturers, like Genie, Marantec, Liftmaster and Craftsman produce openers with ¾ and 1 hp motors. Openers make access easy, increase security and if they are properly maintained they ensure safety. Your automatic door is set by the opener unit to open and close to a particular point. It shouldn't go further up or down and it must not stop before it reaches its full closing and opening position. If the travel limits of the door are not set right, the reverse mechanism might fail to work properly and both your safety and security will be compromised. There are either switches or screws at the opener box which can be turned to adjust the travel settings. The up switch is turned clockwise when the door doesn't open completely. The down switch is turned counter clockwise when the door doesn't fully close. All openers made after 1993 must meet the UL 325 safety standards and integrate photo eyes, which project an infrared beam to sense activity under the closing door. If you pass under the door, the beam will be interrupted and would send a signal to the opener to reverse the door's movement. If the sensors are not aligned, one of the wires is damaged or the lenses of the photo eyes are dirty, the reverse mechanism will not be activated. For safety reasons, it should be tested once a month. You can do that by placing a flat object on the floor and press the remote control to close the door. When it comes in contact with the object, the door should reverse. If it stops but doesn't reverse, you must increase the down travel limit. If it fails to do so, contact us for garage door repair. Garage door opener maintenance is vital for your safety. Since the opener determines your safety, its parts should be checked often. Maintenance should involve three stages. The first one includes inspection. All parts should be checked. Open the opener box to check everything is alright. If you see plastic shavings, the sprocket is damaged or needs lubrication. The second stage is testing. Check the travel limit and the reverse mechanism. The sensors should be checked, too. They must be aligned and their wires should be in good condition. The third stage requires some cleaning and lubrication. Clean the lenses of the photo eyes and lubricate the chain and gears. When problems are diagnosed during inspections, such as the door moving too slowly, ask our assistance. With a team ready to respond in timely fashion, we at“Garage Door Repair West Sacramento” can help you with all opener issues. We provide troubleshooting, replace opener parts and repair most opener brands. Rely on us for quick assistance and call us if you need service!